Side note: whoops. Not sure why I didn't post this last week. What a wonderful week of workouts. I am so grateful I am feeling really good and my body is holding up so that I can run exactly how I want and when I want. It's a beautiful thing! I tried to do a whole Jillian Michaels workout, for "fun". I forgot how long and hard those stupid workouts are! It killed me! I decided I am really not a fan of her videos. I love her, but there is something about her attitude that actually makes me want to stop working, instead of pushing harder. My one double day. A short-ish swim in the morning and what amounted to a tempo run on the trails in the evening. I ran two loops of Discovery Park with my friend Ray and he is a bit faster than me, so I pushed myself to keep up with him. Two loops in just under a 10:00/mi pace, which is fast for me on those trails! This run was awesome. 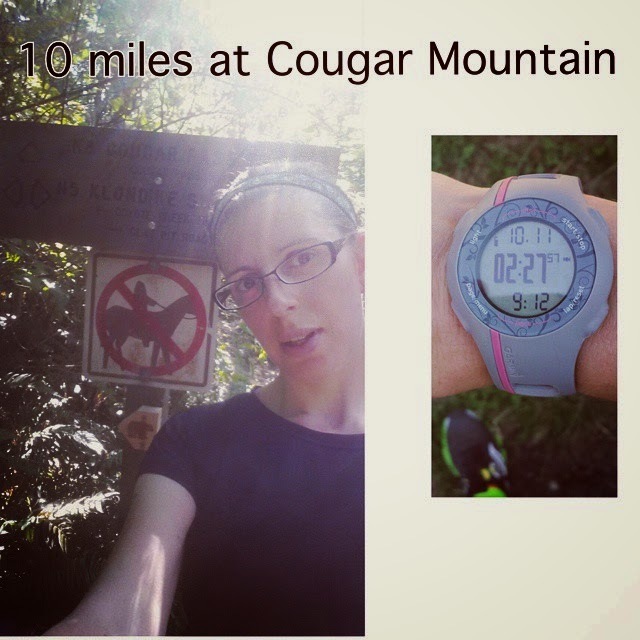 I decided to meet up with the High Heels Running Group at Cougar Mountain to get my long run in on trails. It made me nervous to show up and meet new people, but I am so glad I did it. It was a small group, just three of us, and the ladies I ran with were so nice and I loved running with them. We did 7 miles all together and then I did the rest of my own. The trails at Cougar Mtn are so beautiful, and really technical (at least for me they are!). Lots of roots and rocks, jumping over logs, up and down hills, dodging banana slugs. Took it nice and slow, in fact this run took me 2:27 (including stops along the way, because I never pause my Garmin). We hiked up the hills, took our time on the downhills. The whole way I thought that it was a nice pace, I wasn't ever pushing it, and I thought if I ran like that on my 30K I would feel pretty good. 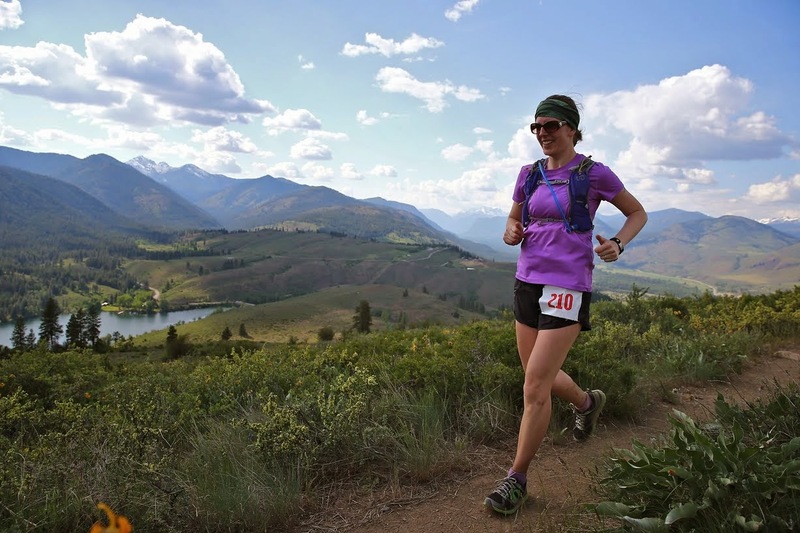 The one thing I was nervous about, however, was how much time I spent running. I was ready to run 10 miles, but on the road that would have taken me about 1:40. Judging by how my body felt the rest of that day and the next day, I think it was okay. The slow pace and the trails seems to have made up for the amount of time I spent on my feet. I would have to look back at my training, but this run might have been my longest training I have ever done. My longest run ever, the 14 miler, was in 2:22. Technically a rest day, but it involved some fun active time at our friends' house on the lake!